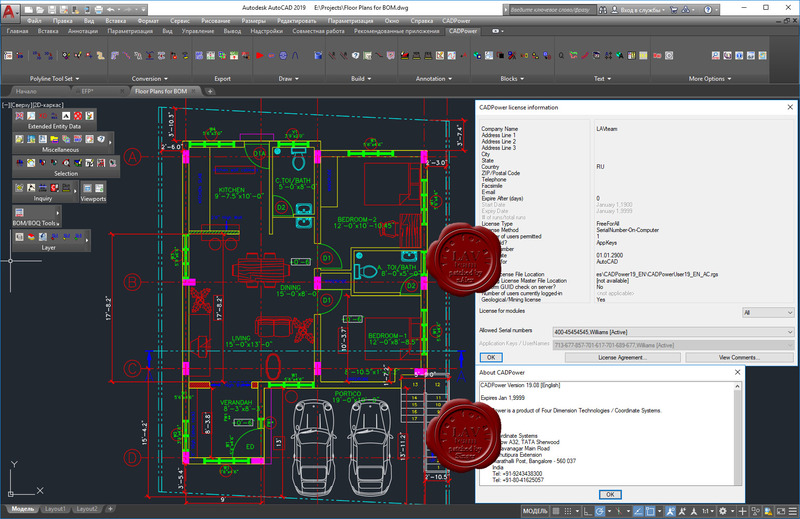 CADPower is an add-on software to help you increase your productivity with AutoCAD and Bricscad. It helps you work smarter, faster and eliminates various bottleneck you might face using just your CAD software. In short, CADPower adds more value and power to your CAD software. CADPower is a collection of frequently asked tools for various CAD operations. The tools are categorized in easily accessible categories like Polyline, Blocks, Attributes, Draw, Selection, Inquiry, Miscellaneous and so on. They are available as pull-down menus, toolbars, tabbed ribbons (AutoCAD 2012 and later), as well as from the command-line as directly callable commands. Most of the commands also offer command-line versions (without dialog boxes) which can also be used in automated processing using scripts.